Effective Restaurant operations are crucial for running a restaurant. How to avoid operational mistakes and increase customer satisfaction? Creating a flowchart is the best way. Operating mistakes are severe and costly while running a restaurant, the best way to avoid this situation is to plan out the operation process. 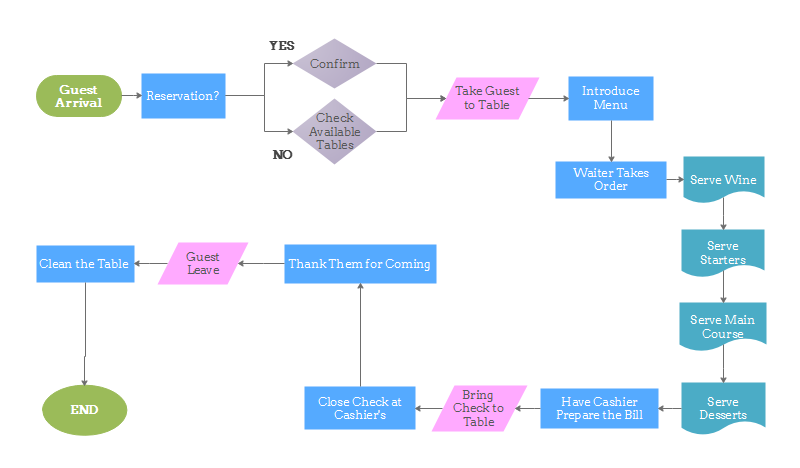 Flowchart can assist creating an operation plan for restaurant. With a solid goal and a plan, the restaurant operations will help the business to grow. 1. Follow the instruction and open a new floor plan drawing page: Available Templates - Flowchart - Basic Flowchart. Double click to start designing your own floor plan, of course to save time, you can simply choose one of the flowchart examples pre-designed by Edraw, download them for free then modify the content. 2. 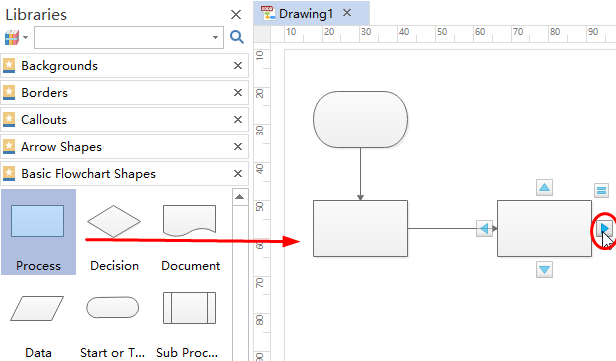 Add Shapes and Boxes: drag and drop flowchart shapes from the library required for your restaurant operations flowchart. Boxes will be automatically connected together, and colors and shapes of the boxes can be modified to distinguish from each other. 3. Save and Export: once completed the design of your restaurant operations flowchart, save the file. 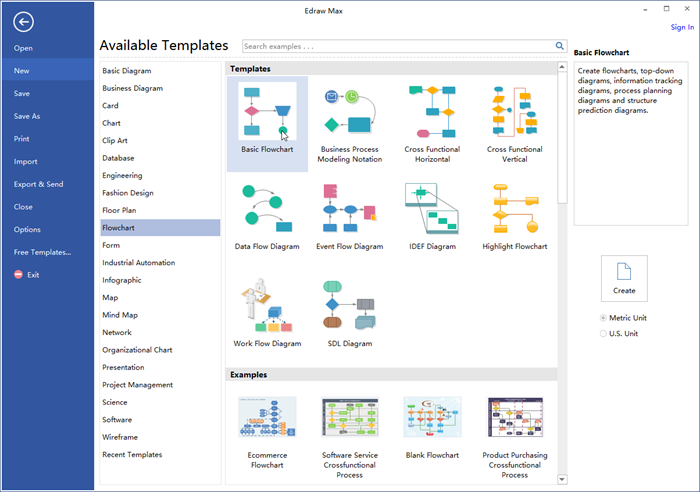 All files on this flowchart maker can be exported to formats such as Word, Excel, PPT and Visio. Set a Goal: Well-designed operational goals can help plan effectively. In this way, you will know which direction to go and how far away are you from your destination. This all based on a clear aim. Think Ahead: Before making a plan, think the possible obstacles that might get in the way. Pay attention to the potential emergencies such as short of ingredients, power off or employee's sick leave. Test the Operation Process: Before put the restaurant operations plan into practice, make sure all staff understand the work flow and their responsibilities. Get their feedbacks if necessary.